Helping people overcome obstacles by igniting leadership, action and resilience from within. 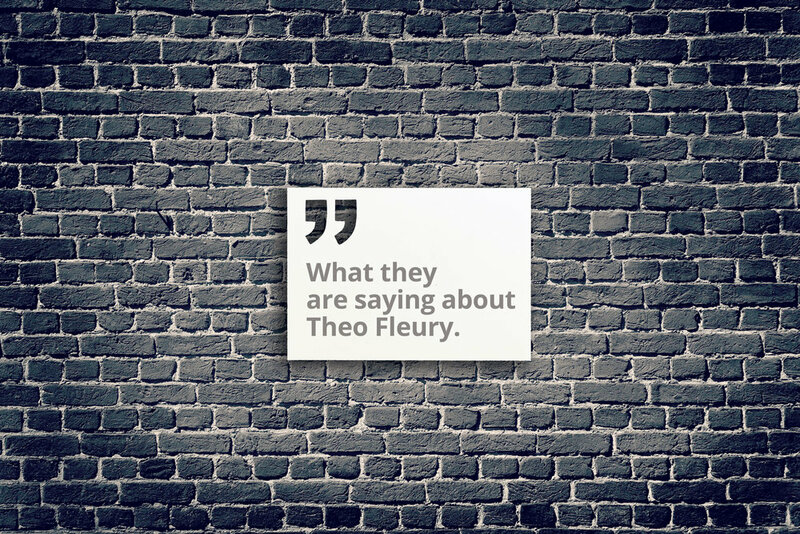 Founded by former NHL player, Theoren Fleury, Fleury Enterprises mission is to help people overcome any obstacle by igniting leadership, action and resilience from within. WHAT IS A “REAL CONVERSATION”? A real conversation, or conscious conversation, creates a safe space for people to open up and share their experiences. Real Conversation is a living process based on a foundation of trust and safety in a completely non-judgmental environment. After hearing Theo tell his story with so much passion and honesty, students were captivated listeners. They were inspired to ask some amazingly insightful questions and comments. His message really seemed to resonate for everyone in the gym and he made an impact towards our goals of opening up mental health as something we all experience in different way. Students have since felt like they have an entry point in discussing their feelings and emotions, which has contributed to them feeling more supported in our school. To me, Theo is a hero for Aboriginal kids and adults alike because his story of courage, resilience and healing in the face of trauma, abandonment, substance abuse, family violence, suicide ideation, sexual abuse and poverty resonates amongst First Nations peoples across Canada. Book with Magellan Luxury Hotels and YOU can help support Theo Fleury in his mission to help others! Book your next hotel with Magellan Luxury Hotels and we will donate a percentage of the booking to support Theo Fleury’s initiative, helping those who have suffered relational trauma turn their lives around.